Arts and culture channel BBC Four will be converted to an Olympic sports channel this August, with the BBC planning to show up to 15 hours of coverage a day on the channel. 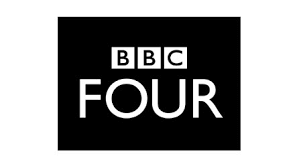 For the duration of the Olympics, BBC Four will be live in Rio from 13:00-04:00 daily. Ore Oduba will front coverage from 13:00, before Dan Walker takes over from 19:00. It's part of 550 hours of Olympic coverage the BBC is planning to show across traditional linear TV outlets, in its last Olympics as exclusive UK broadcaster. From the 2018 Winter Olympics onwards, coverage will be split with Discovery Communication's Eurosport network. BBC Two is scheduled to offer viewers a mostly Olympic-free zone during the 17 days of coverage from Rio: Olympics coverage on BBC Two will consist of highlights/replays between 9:15 am and 1pm. As a result of limited capacity on Freeview, BBC Four HD's extended broadcast hours will result in children's channel CBeebies HD having 'limited coverage' - the two channels normally timeshare a slot on Freeview HD, with CBeebies HD handing over to BBC Four HD just before 7pm. I can see August is going to be torture. BBC 2 does not broadcast the sort of stuff BBC 4 is so good at. It may be time to catch up on some boxset watching. What about the people who can't receive BBC Four in HD. Your choice how you get TV! DTT should not be a limitation for broadcasters when it comes to deciding plans such as this or any! They should swap BBC 4 HD/Cbeebies HD with CBBC HD for the Olympics, then they could have BBC 4 HD on all freeveiw HD boxes for those 2 weeks. They should use that waste of bandwidth BBC Alba instead of messing around with BBC 4. BBC Alba is not a UK-wide channel on all platforms, so can't be used for this purpose. This what BBC 3 was meant for! Leave BBC4 alone, its the best channel of the lot! The Olympics were always broadcast on BBC1 and BBC2 and used to generate a fair number of complaints from viewers who are not interested in sport, however, I wonder if this move to BBC4 is to keep the BBC's flagship programmes "Homes Under the Hammer" and "Flog It" unsullied for their high brow viewers? finally BBC 1 are going to show episodes of EastEnders as the Olympics are in Rio this year. Last time it happened, EE moved to BBC Two for the duration of the London Olympics and the Glasgow Commonwealth Games in two occasions, one week we got 4 episodes (1st week) in 2014, the second week went back to only three. As it may happen again for a third consecutive time (we do not know if yet) and now they're scheduling EE at 7pm in June before a Euro 2016 football match, as it may happen with Casualty taking some weeks off due to Olympic coverage in Rio, it moved to BBC Two (before!) only because when Queen Elizabeth the Queen Mother died in 2002, it hasn't happened since then, as i'd know its spinoff Holby City moves to BBC Two the same time as EE when major sporting events are usually on. If you hadent het rid of bbc3 then you would have had plenty channels for coverage.......What are we paying our licence fee for......The last straw with me was Formula 1 pushed out then channel 4 snapped it up....Surprise That.......Publicly Funded Channel 4......Please Reply...As i was BBC thro the vains.....Converted from Central Itv.....Now its all going Pete Tong-BBC Employee.....Regards Dj Ste.V.D. I have no idea what you said!! !